Extendable table with automatic lateral double extension. Aluminium frame, top and extensions in painted extra light tempered glass (10 mm). Veneered wooden legs. 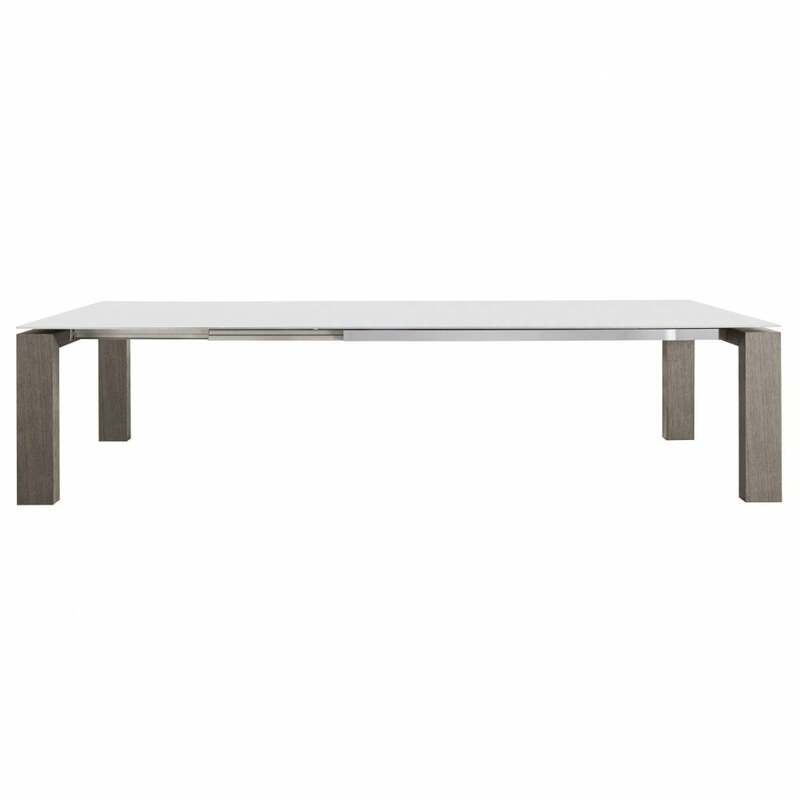 In the Aliante table the huge and rigorous style given from the four legs is softened by the glass top suspended on the extension base, offering a furnishings solution of elegance.